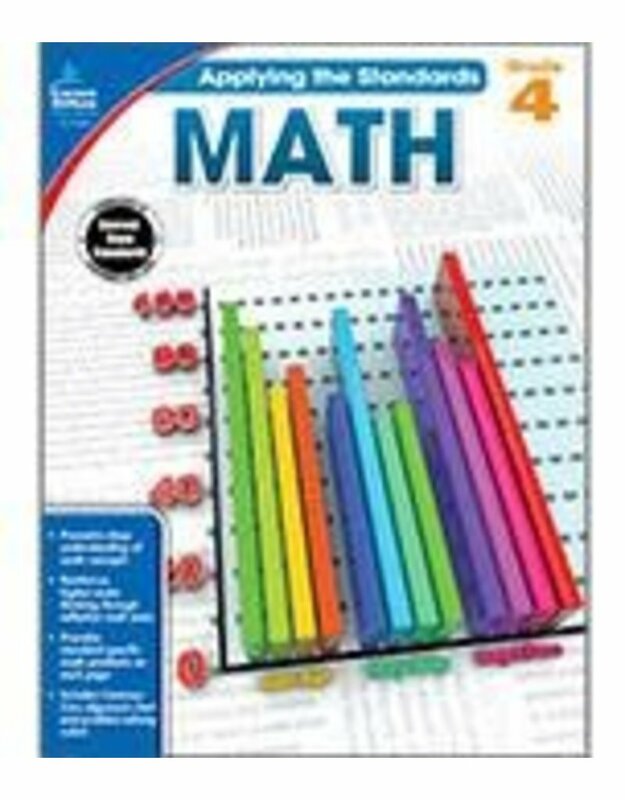 Applying the Standards: Math for grade 4 offers 64 pages of targeted math practice. It is aligned with current state standards and includes a problem-solving rubric, a standards alignment chart, and standard-specific pages of math problems and performance tasks. Fourth graders will be able to prove deep understanding of topics ranging from factors and multiples, multiplication and division, addition and subtraction of fractions, and converting measurements, to line and angle geometry. --The Applying the Standards: Math series emphasizes higher-level thinking by requiring students to complete performance tasks to prove understanding of each standard. This is a series of six 64-page books for students in kindergarten to grade 5. All grade-level math skills are covered, and a culminating reflection question for each performance task engages students in the standards of mathematical practice. Current state standards and depth of understanding are emphasized throughout the series.